Resolved an accuracy issue that was introduced in the last Beta update. New software features supporting additional languages were included in the beta before the test plan for those features was complete (it is a beta after all). Subsequent testing identified the accuracy issue and corrections made. These new tests have been incorporated into our regression testing to prevent future accuracy issues. The tl;dr version: Better, faster, with voice-to-text, finally. Now only if Swype would put this in the market. 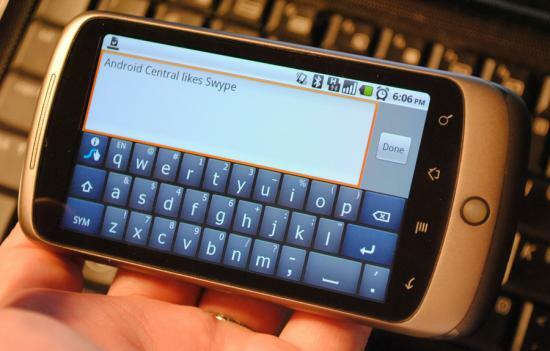 For those of you already in the beta, head to beta.swype.com/android/get to update your installer. For everybody else, well ... [Swype] Thanks, Sean!